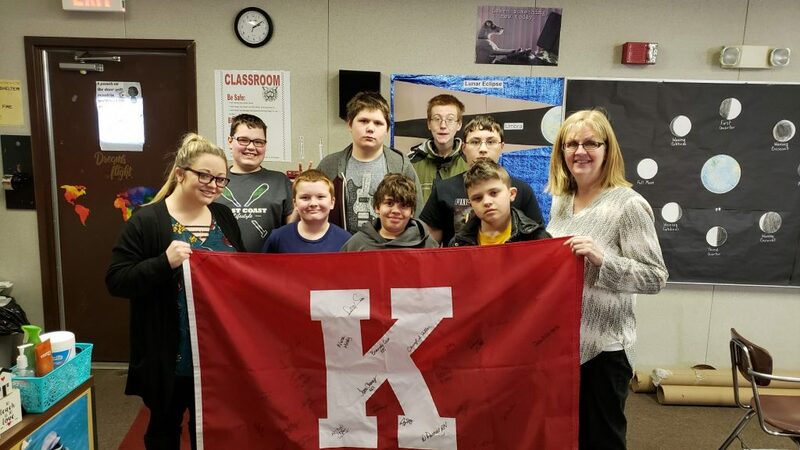 Kenton Middle School teacher Mrs. Ellen Johnson is hosting the Flag of Inspiration this week after Principal Kirk Cameron shared about her work at the school. I would like to share the successes that are happening in Mrs. Johnson’s (Ellen) classroom. This is her first year working in this classroom…She and Mrs. Goecke have been consistent in expectations and doing a lot of hands-on activities in class. The improvement in the classroom has been nothing short of amazing. Behavior and academics are improving…Mrs. Johnson is changing the culture of a tough classroom to serve in.